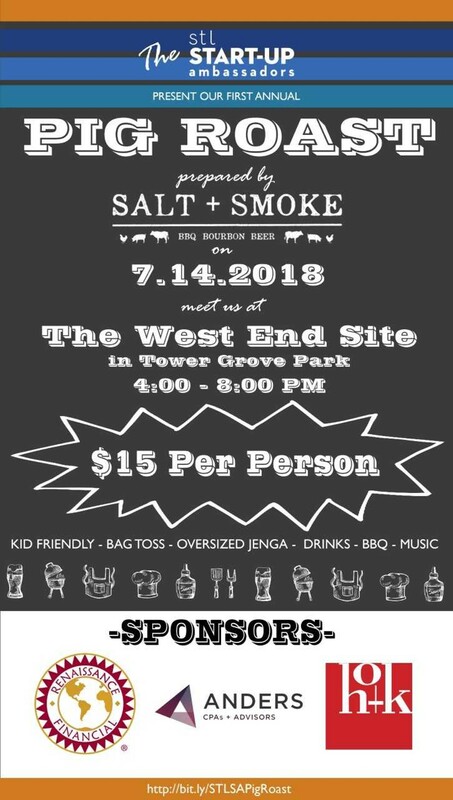 Join the St. Louis Startup Ambassadors as we celebrate summer in St. Louis the best way we know how: An annual Pig Roast prepared by our friends at Salt & Smoke. All are welcome. Startups, fans of startups, St. Louisans, fans of St. Louis. And so on. Kid friendly. 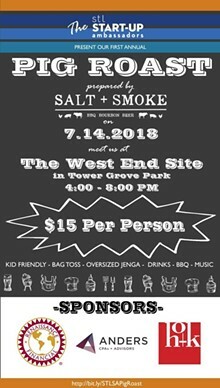 Beer, BBQ and lawn games for all.